There’s even a robot chef that can cook you dinner. It still needs humans to buy the ingredients and input the recipes, but even those can be automated in the future. A Chinese restaurant recently employed these two robots to make Japanese style ramen noodles for their customers. Unlike humans, the robots don’t take sick days or a salary. Even farmers may soon be out of a job. Spread, a company based in Kyoto, Japan, is creating the world’s first fully autonomous farm where robots will take care of almost every aspect of the farm’s operations, from watering the seeds to harvesting the crops. Will robots take over driving for us in the future? You can bet they will! With Google and Tesla competing to create the first completely self-driving car, and Uber planning to transition to driverless cars, taxi drivers will be the first to be laid off. Truck and train drivers will be next. Rio Tinto has already rolled out fully automated driverless truck fleets in Australia, and the Delhi Metro got its first driverless train in 2015. Robots will soon replace humans in construction jobs, as this six-metre-high tower at the FRAC Centre in Orléans, France, constructed by robot helicopters, shows. They will also grade student’s essays, and even, diagnose patients. The simple reason why robots will replace humans in these tasks is that they will be better (and cheaper) at them than we are. If you think the creative professions are immune to the Autobots because AIs can’t write basic news reports or compose music, think again. It’s quite possible that robots will replace writers, artists and musicians. Here are some abstract paintings that are entirely computer generated. 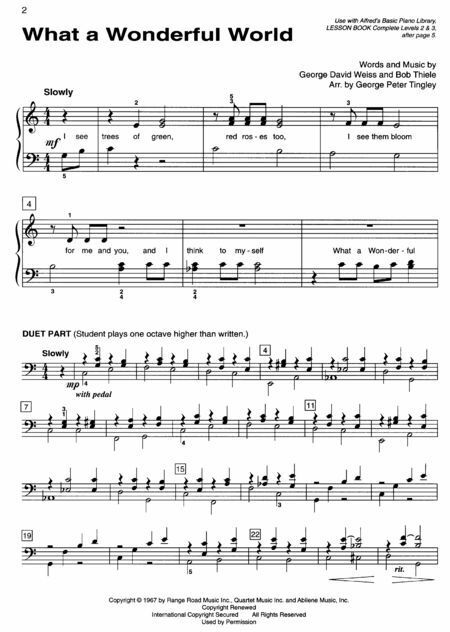 It’s not completely insane when you think about it, because “Western music’s 12-note system is highly mathematical, lending itself to complex algorithmic analysis.” It’s not a stretch of the imagination to think that artificial intelligence can write a bunch of notes strung up in a pleasing motif. That is exactly what music composing robots are doing right now. Here’s a tune called Kinoth, composed by a computer called Iamus, on violin and piano. Robots might also be able to replace news writers soon. 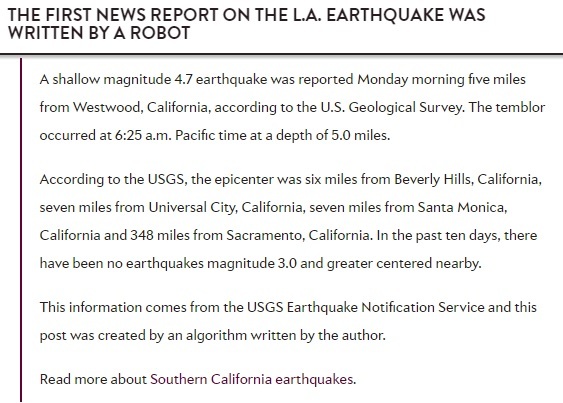 On March 17, 2014, Slate.com reported that the first news report on the L.A. quake was written by an algorithm called Quakebot. This is the article it wrote. In March 2015, the Associated Press (AP) announced it would use a content generation tool called Wordsmith to automatically generate news stories about college sports that it didn’t previously cover. Robot-written content or robo-journalism is expected to improve over time as companies refine their algorithms. The recent World Economic Forum in Davos even saw it’s first Robot delegate, Hubo. What does this mean for future generations of humans? The smart way to address this predicament is to embrace technology, so we can create more interesting jobs once lower-skilled positions become obsolete. Experts believe the best option for anyone who wants to keep their edge in a world of AIs is to find a profession in which they can either complement AIs or be better than them. Economist Tyler Cowen, and MIT professors Erik Brynjolfsson and Andrew McAfee have suggested that humans develop skills (like coding) that complement the functions that computers and AI systems perform well. That way, we can work with them instead of competing against them. Those in the medical profession would do well to remember this advice. Then again, there might be areas of work in which creativity, craftsmanship and human judgment will always be superior to what a machine can do. Studies have found that a small degree of human error is essential to creating an arresting musical composition. Perhaps robot composers will learn to fake human error too, but when it comes to songs that require a certain depth of human experience (think sad country songs), I doubt robots will be able to replicate our range of emotional experience anytime soon. Algorithms and software might make breaking news stories much quicker to write, but in-depth reporting with insights and fact-finding in the field can only be done by human journalists and reporters. And, it’s unlikely that we’ll have a robot equivalent of The Lord of the Rings or A Song of Ice and Fire anytime soon. In a world where even creativity will be usurped by AIs, humans will have to work hard to be original and innovative, bringing something to our experience that only we can. Priya, I believe Ray Kurzwell was the first to coin the term ‘singularity’ which talks to your point in this fascinating blog. And in his book of the same name he defines ‘singularity’ as the tipping point when robots will virtually take over the planet, based on their programmed ability to continue to learn at a faster speed than man. Talk about ‘Brave New World’ — and a world at odds with robots from one country versus robots from another. It will make current-day war look like child’s play. Yes, one can only hope it will involve bots against each other. In the war of bots against humans, we will probably not do so well. This is great Priya and points to the the skills that AI cannot master – warmth, relationships, personalized interraction. The more automated our society becomes, the more we crave personal connection and engagement. That’s a great point, Sarah. Providing the human touch in any profession will give us an edge over the bots. That’s an interesting observation, Gabriella. Of course, different generations will see things differently. So will each person. I just wonder how things will ultimately pan out. I guess it all comes down to value based on money spent. If Robots provide better ROI, then humans will lose their jobs to robots. At this moment with the current technology, it does not seem much. If we compare a robot that costs $150k in purchasing, electric consumption of its running – maintenance and repairs and most importantly its life, guarantee and warranty to a human from a third world country that costs $50 a month to hire. Take two if you are worried about their sick leaves. The robot will break its purchase costs in 100 years of its running. Am pretty sure all this will change in the favor of robots with new technology coming in which will cut jobs by a lot. 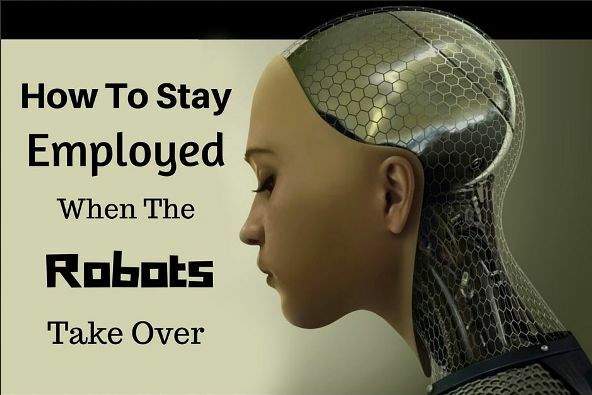 On the other hand, it will be helpful for the businesses that want to replace humans with robots – thus maximizing output with minimum costs and delays. Personally, would love to have a robot Chef at home for cooking! Not sure if my wife will like it! But we can reduce this cause by upgrading our self to new technologies ! finally a human can analyse, report and make decessions ,though robots do work.